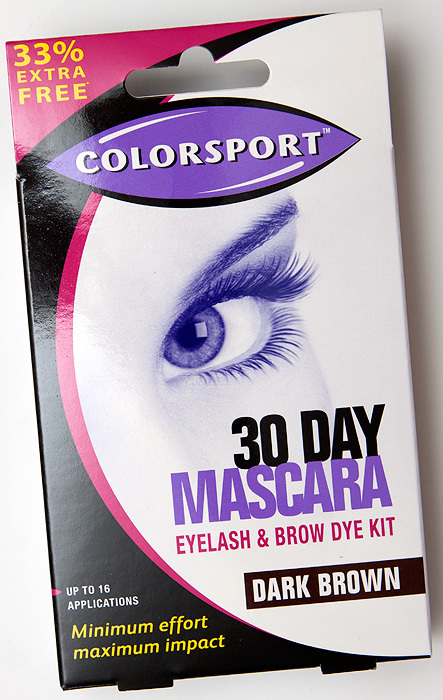 Colorsport 30 Day Mascara – Home Brow/Lash Tinting! 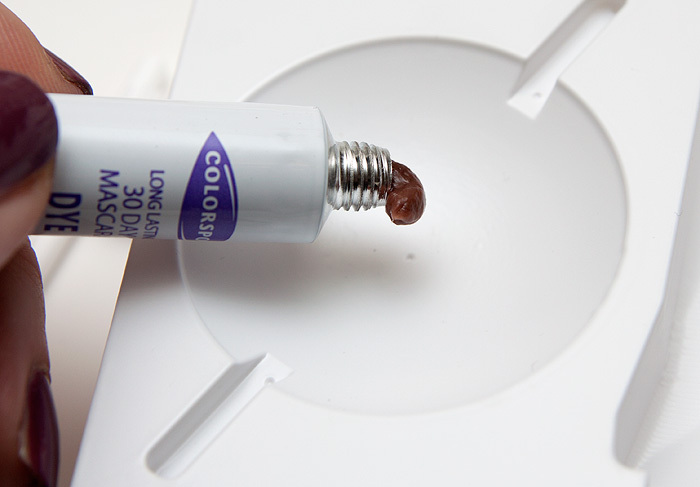 I’m not a tutorial blogger, I don’t have the skills to teach anyone much about anything but I thought a few photos and a quick rundown of my experience with the Colorsport 30 Day Mascara might be useful to any scaredy-cats out there who are nervous about home tinting! The kit contains enough product for ‘upto’ 16 applications but I found that I had lots left over when I used the amount suggested by the instructions. Your mileage may vary! I think this would make a great Summer holiday purchase to darken those lashes before you hit the pool. No running mascara worries, how cool would that be?! 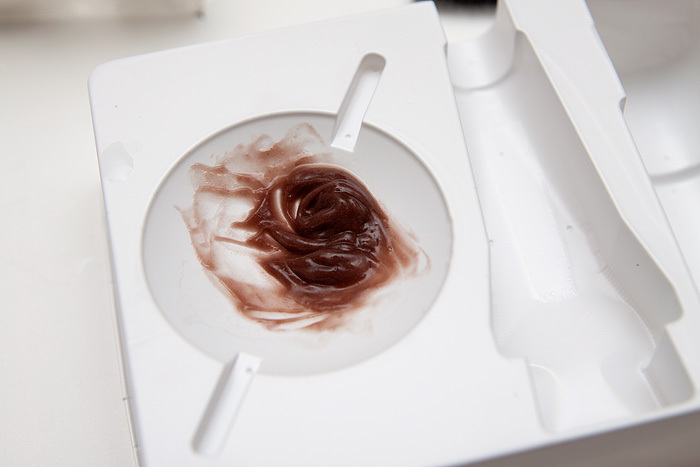 Here’s a shot of the products I assembled before attempting to dye my eyebrows with the kit. I was feeling a little apprehensive and wanted to have everything to hand incase I panicked and wanted to wipe everything off halfway through! Cotton Buds for application on my eyebrows. 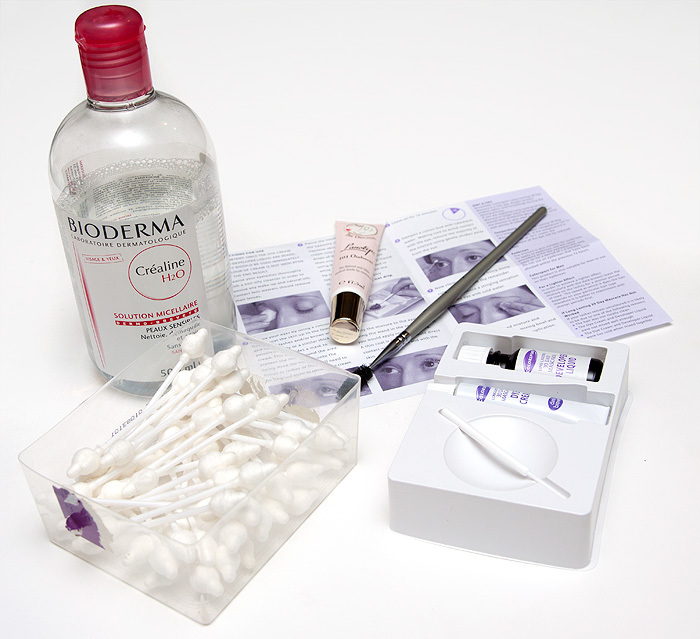 Oil Free Makeup Remover, I used my Bioderma Crealine. Mascara Spoolie or an old mascara wand to run through my brows midway through the tint process. The final mix should look something like the above. Creamy and non-drippy! I wiped my brows over with a wash of the non-oily makeup remover, smeared the Lanolips over the surrounding area and then painted the dye over my brow with a cotton bud (q-tip). 2 minutes later and a quick wipe-off with a dampened cotton pad… here’s a before and after shot. Only the eyebrow on your right has been tinted. Well, it’s subtler than I expected… which I guess is a good thing really. I’m not keen on the fact that it appears to have warmed up my naturally ashy brows. The skin underneath the hair that has caught some of the dye and I expect will fade in a couple of days, it’s not hugely noticeable but I will gently exfoliate the skin tomorrow to speed up the fade. They also have a version in black which I was concerned might be too harsh for me but now I think it could work well with less developing time until I’m more confident in the results. The application/mixing wand provided with the kit isn’t up to the job. It’s not unusable but you will probably end up reaching for something else to use instead. I experienced no irritation or sensitivity with this product and was careful to conduct a skin sensitivity test 48hrs before use. I’m really enthused by how easy and quick the process was compared to how I imagined it. Neither was it messy or particularly fiddly… it was quite good fun! I think it would most benefit people with fair brows and lashes. On me, the difference wasn’t huge on either my lashes or my brows. I would recommend the Colorsport 30 Day Mascara Eyelash & Brow Dye Kit but with a caveat about the dark brown being quite warming. 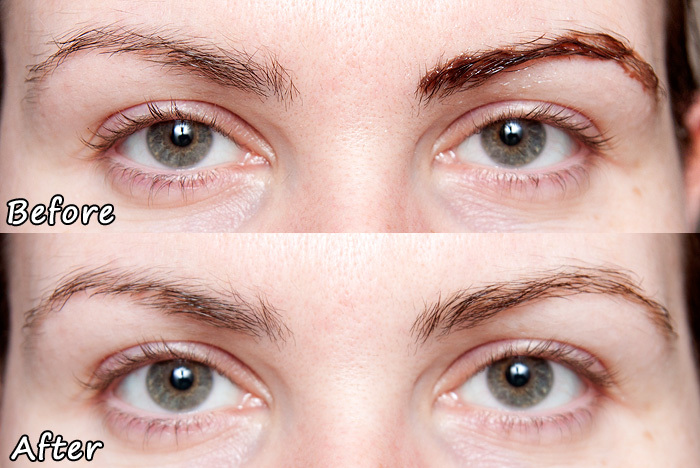 Do you tint your eyebrows or lashes at home? You brought that one upon yourself, I didn’t think it looked like a turd until you said, “Stop sniggering”. Hmm. It is quite subtle…I have black, practically unnoticable brows which I fill in with powder most days, so I /may/ have a look at this, unless you’ve got another kit you’d recommend? I use the brown one on my eyebrows and the black on my lashes, and instead of the rubbish applicator I use an old mascara wand. For eyebrows I usually do two applications of around 3 minutes each (my eyebrows are blonde), and lashes two applications of 10/15 minutes, and the pack seems to last about 6 months. I’ve found, as you did, that you shouldn’t choose colour for it’s intensity, but for tone. How much colour is deposited is pretty much entirely customizable! I really prefer applying the colour with a mascara wand on the brows as well, to get an even deposit and depth of colour – the first time I tried colouring, my (blonde) brows, the entire brow was coloured, but the places with less dye applied suddenly seemed sparse. I’ve this in both brown and black. I’m a redhead with blonde eyebrows and eyelashes. So fair you can hardly see either and I get sick of using mascara every day just to make myself not look dead! I use the brown version on my eyebrows and get a veeeeery subtle result. Bearing in mind my brows are blonde, they’re quite resistant to the dye. I do find that if I do it at night, and wash it off as directed, it gets slightly darker overnight. I use the black version for my lashes and absolutely adore it. I don’t use it the way they recommend, with the vaseline and the white paper patch etc etc. I use use the stirrer/applicator provided and glob on as much I as I can manage, both to the top and underside of my lashes. The results I get are fantastic. It means I don’t have to use mascara every single day and don’t have to worry about it smudging when i’m swimming etc. I can get probrably 10/15 days out of one application which isn’t bad going, really. It’d be so cool if this came in the more unnatural colors that I dye my hair. I can see it on your eyebrow…but did you put it on your lashes? I don’t see any difference on your lashes. I always use this to tint my brows, tinting my lashes is more difficult and fraught with danger so I don’t bother. I purchased the kit in Dark Brown colour today and used it 20 mins ago. I only wanted it for my eyebrows. First time I kept it for 2 mins as requiered and applied Vaseline above and below brows to prevent skin getting dyed. However when I wiped it off there was no result whatsoever. So I decided to apply it again straight away and kept it for 10 mins and didnt bother eith Vaseline. I must say that this time I could see my brows to have become very subtly darker, not dark enough for my liking and skin around brows didnt get dyed. I think I will give it another go but will look for a better kit online. This is absolute rubbish. 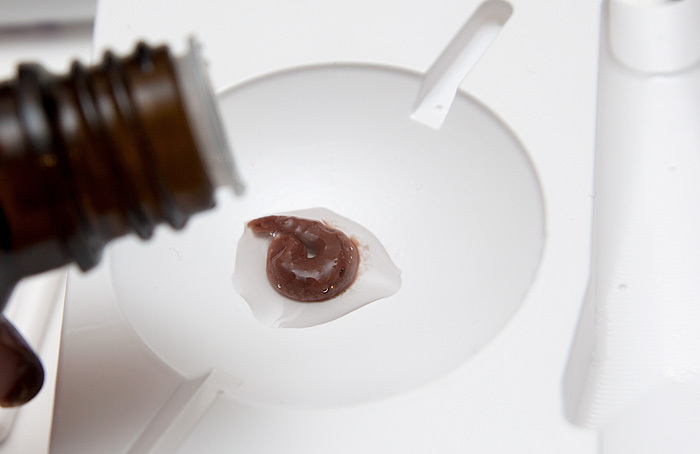 Firstly, the instructions on the leaflet differed from those on the bottle and tube containing dye. Secondly, why is no wand included?! Thirdly, it had no effect whatsoever. 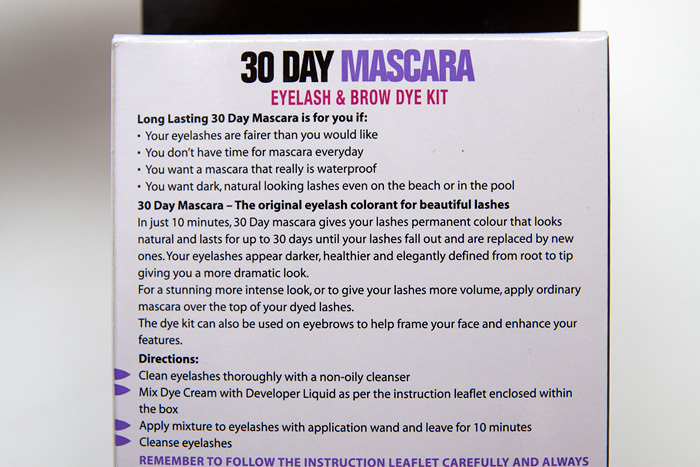 I have previously used Dyelash which I had a much better result with. I would advise anyone considering buying this to save their money and look for something else.